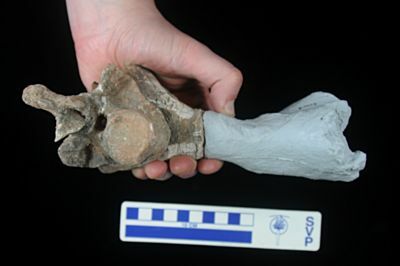 After sectioning, the distal portion of the left femur was discovered among unprepared material of this individual. Here it is shown held next to the cast (made presectioning) to establish that these are the same element. Note: A vertebra from the same individual is attached to the distal half of the femur.